There are a range of QR code-based access control solutions from Axis to consider; all of which not only reduce your costs of purchasing, handling, printing, distributing and disposing of physical cards, but have a positive impact on the environment and carbon emissions. The move away from physical to digital credentials is another example of how Axis is embracing a philosophy of sustainability and dematerialisation in its security and access control offerings. One QR code solution example from Axis integrates a QR video analytic onboard its IP cameras and/or video door stations in combination with the AXIS A1001 Network Door Controller. This makes life easier for customers and is fully ONVIF compliant. A typical situation is when an external visitor receives a QR code on his mobile phone, allowing him to enter your facility or parking area without having to stop at the front desk. Another typical scenario is the management of late deliveries when no staff are on site. The supplier – with the QR code already on their mobile device – can simply display it in front of the Axis video door station to gain access to specific areas at your facility. Another interesting usage case for QR codes is when they are integrated with licence place recognition technology by hotels to handle guest parking. When booking a room, a guest can provide their car licence plate number and receive a QR code which would securely grant access to the hotel parking garage. In addition, with the right systems in place, guests could gain access when a camera picks up their licence plate. 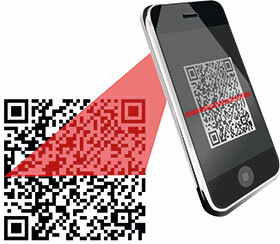 An additional solution involves a QR code is its usage in combination with audio. Here, Axis has developed a solution that uses IP audio clips embedded into its intercom products. A typical example of this is when a QR code is presented at a parking entrance and it gets rejected. In such a case, a voice message will be sent from the Axis network video door station indicating the reason why and advising the visitor to press the call button to be connected to a remote operator. Also, if access control is integrated into an Axis video surveillance system, the on-site Axis IP camera can upload Axis QR code analytics. This replaces expensive QR code readers. It is clear that using QR codes in place of traditional entry systems can both improve visitor management and contribute towards dematerialisation. It reduces costs associated with traditional physical credentials – with the lowest impact on the environment – for a smarter approach to access control.